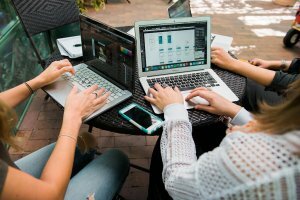 This blog is for those startups & entrepreneurs, who have ever thought to start their own bike-sharing system like Ofo, Mobike and Limebike. Read on to know how bike sharing system can change the world. Whether you are living in China, France, USA, England, Spain or Canada, you might have noticed bikes everywhere on the road that are highly preferred by people for their daily commute. 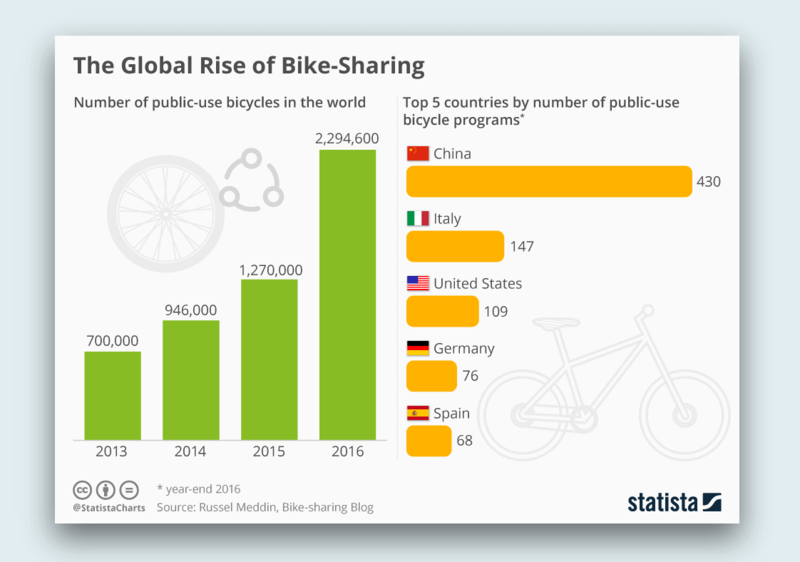 The apparently simple concept of bike sharing programs has indeed swept across the globe in just matter of a few years. In simple language, a bicycle-sharing system is a program in which various bicycle stations are set up, and people can rent a bike to use it for a particular time frame and return it at a different station. 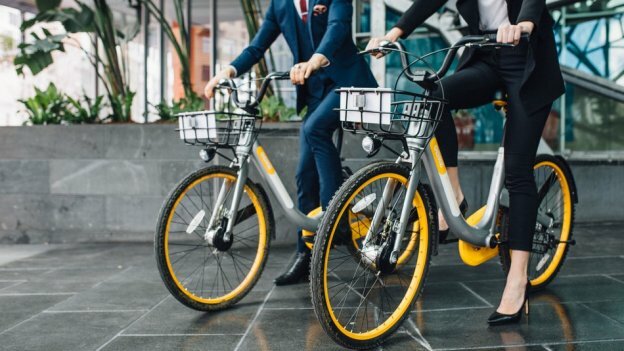 The global bike-sharing services market expected to expand at a CAGR of 12.5% during the forecast period from 2018 to 2026, according to the latest report by prnewswire.com. It is considered an extremely important part to make cycling more accessible to people, who travel to work, activity classes, nearby markets, and anywhere in the city. As you can see that cycling is welcoming as a dominant method of inner-city travel, so we are going to see more of such bikes shares soon and it will give many positive impacts on the environment. As you know that bike sharing has a deep impact on developing cycling population, increasing transit use, decreasing greenhouse gases, and enhancing public health. Even bike sharing programs are reducing air pollution through decreased automated usage. The study on D.C.’s Capital Bikeshare has estimated that the decrease in traffic congestion will be equal to $1.28 million in annual benefits, accrued through the reduction of congestion-induced CO2 emissions. It is obvious that bikes produce no emissions and it is a great option for tourists as well, who are visiting a new country or city. Bike shares give the tourist an option to experience the city by bike that is both less expensive and more convenient. Even commuters can cut down on the pollution of the city by riding a bike. Today, bike share systems are highly convenient and ease the access for office goers. When traveling to an office in the city, you might know that there are public transportation dead zones. No matter how close you are to your office, but there is still a chance that it will take 15-minutes to walk down to your office door. However, 15-minutes may not sound like a lot, but when people are rushing to the office in the morning, it feels like a lifetime. So, bike share systems have eradicated this problem, allowing people to reach office on time. One of the main benefits of bike sharing is that it will eliminate the problem by providing an alternative for that last leg of the commute. 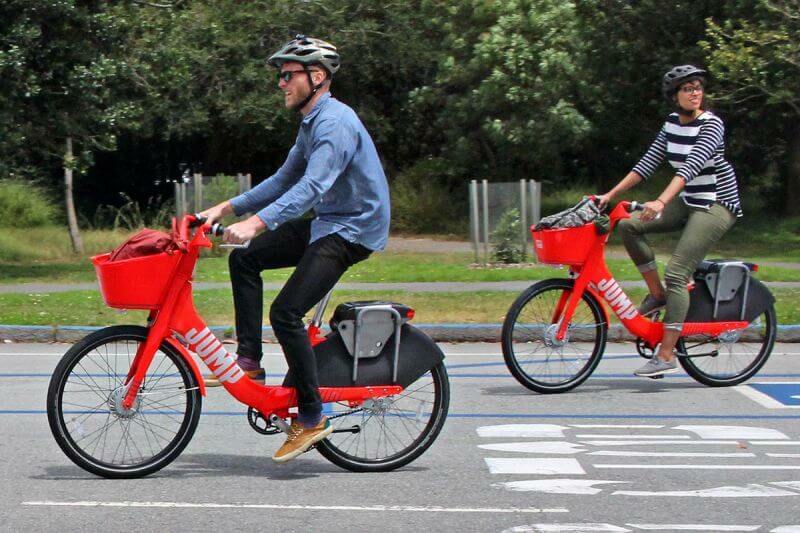 In the recent times, the transportation use increases in cities with bike-sharing because the new bike transit trips have improved connectivity to other modes of transit like the first mile/last mile solution bike-sharing helps to solve and to decrease personal vehicle trips. Even, these programs are supporting an ecologically friendly transportation alternative. The programs are encouraging people to make use of bicycles for daily chaos and errands nearby like activity classes, work, visit the city or even commuting. One of the primary goals of the f bike sharing system is to reduce traffic congestion, especially in large urban areas. A study on Washington, D.C.’s Capital Bikeshare has found that the bike-sharing programs have contributed 3 to 5% reduction in traffic congestion. In addition to this, 2017 studies in Shanghai and Beijing have experienced an increase of dockless bike shares, resulting in decreasing in the number of private automobile trips, which are under five kilometers. In short, these bike-share programs and services are highly in demand and benefiting the cities and riders in many ways. To give you a more clear idea about the growing market, we have shared the bike-sharing market stats. According to the report from Statista.com, the usage of bikes has experienced massive growth since 2013 when there were only 700,000 public-use bikes in circulation worldwide. By 2016, the number had been tripled to 2.3 million. However, the major growth took place in China, which is 2016 had 430 public-use bike programs in operation. Talking about the U.S. market, the bike share has constant growth in the country with more than 35 million trips taken in 2017, 25% more than in 2016. Considering this growth, we can say that the upcoming and existing bike sharing systems can experience huge growth across the country. In this given image, you can see the total number of bikes sharing systems (station-based, dockless and station-based and dockless) across the U.S. station-based. The year 2017 also saw the advent of a new bike share customer interface that is known as dockless bike share. By the year-end, five major dockless bike sharing companies reported operating in more than 25 cities and suburbs in the U.S. Now, check out the leading bike sharing companies worldwide that are performing extremely well in the market and offering a new mode of transportation. Founded back in 2014 by five members of the Perking University, the company was named “ofo” because of the world’s likeness to a cyclist on a bicycle. After one year, the company was launched in Beijing, gaining more than 20,000 users and 2,000 bicycles by October with the investment funding from a Perking University alumnus. 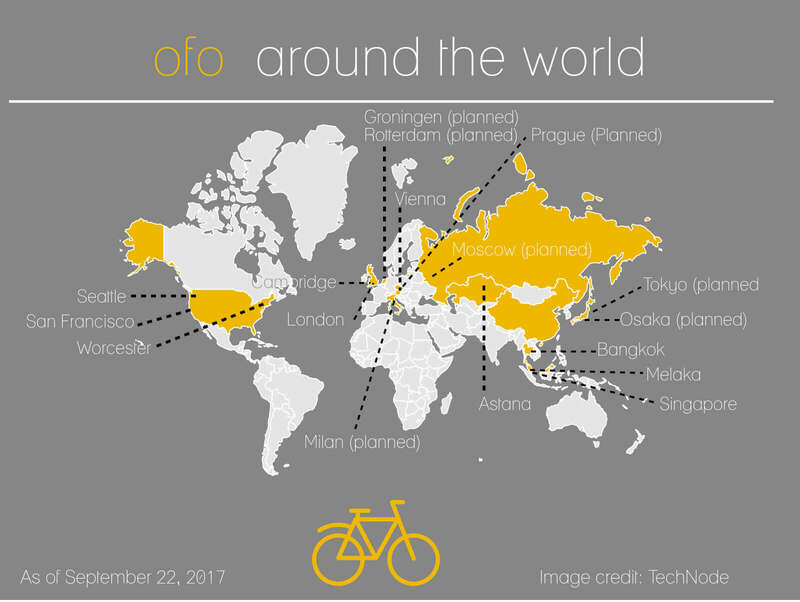 In 2016, Ofo expanded its services to other cities in China and had a fleet of approximately 85000 bicycles. In the same year, the company raised $130 million in funding from tech firms, including Xiaomi and Didi Chuxing, allowing the company to expand its services outside of China, including Singapore, United Kingdom, United States, and Australia. After that, the company raised $450 million in Series D funding in February 2017 that led by Didi Chuxing and Russian investor Digital Sky Technologies that valued the company at $1 billion. Founded by Beijing Mobike Technology in 2015, Mobike is a fully station-less bicycle sharing system that made Shanghai the world’s largest bike-share city. 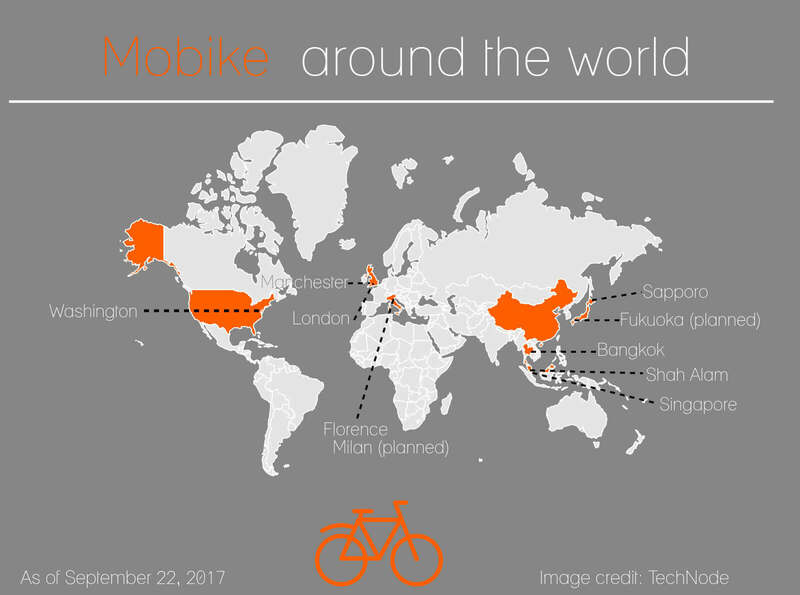 In the year 2017, Mobike raised $600 million in Series E funding that led by Tencent, bringing the firm’s fundraising in 2017 alone to nearly US$1 billion. In the same month, the company was valued at US$3 billion. In 2018, the company was acquired by Chinese web company Meituan-Dianping for US$2.7 billion. According to the TechCrunch report, Mobike is soon planning to add new e-bikes that can reach a top speed of 20 km/hour and travel up to 70 km on a single charge. However, currently, the Mobike are used for trips up to 3 km, but e-bikes will hopefully increase that to 5 km. According to the latest news from TechCrunch, Mobike, China’s leading bike-rental apps, is planning to enter a new phase, which neighborhood services giant Meituan-Dianping gobbled up last April, is changing its name to Meituan Bike as part of an ongoing integration with its parent. Founded back in 2017, Limebike is an American transportation rental company that runs bicycle and scooter sharing systems in various cities of U.S. This system uses dockless vehicles and a mobile application to unlock vehicles. Talking about the fundraising, the company has raised $12 million in venture funding that led by Andreessen Horowitz in March 2017. In July 2017, the company expanded to the cities of Key Biscayne, Florida, South Bend, Indiana, and South Lake Tahoe, California. Then, in 2018, the company again raised a fund of $1.1 billion, making it a unicorn. Currently, the investors valued the company at $225 million. The CEO Toby Sun said that the company is now in 46 markets, including two European cities and it needs to grow even faster than planned. He also said that the company is planning to build LimeBike as an option for all the people, who typically do not get access to these types of transportation options. Talking about another successful bike sharing company, JumpBikes is a leading dockless electric bicycle sharing system that is operating in Washington, D.C. and San Francisco. Recently, the company acquired Uber for a reported amount of US$200 million. 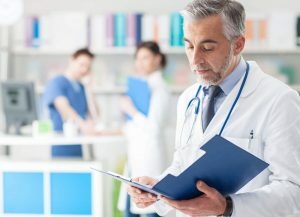 After the acquisition, the company’s CEO announced that the company was planning to expand its services in Europe that began in June 2018. Initially, the service was launched in Washington, D.C. in September 2017. It was followed by a launch in San Francisco during January 2018, becoming the first dockless bike sharing system to launch in the city. In May 2018, Jump launched in Santa Cruz, California with a fleet of 250 electric bicycles. So, these are the 4 successful bike-sharing startup companies that are running bike sharing programs across many countries of the world. 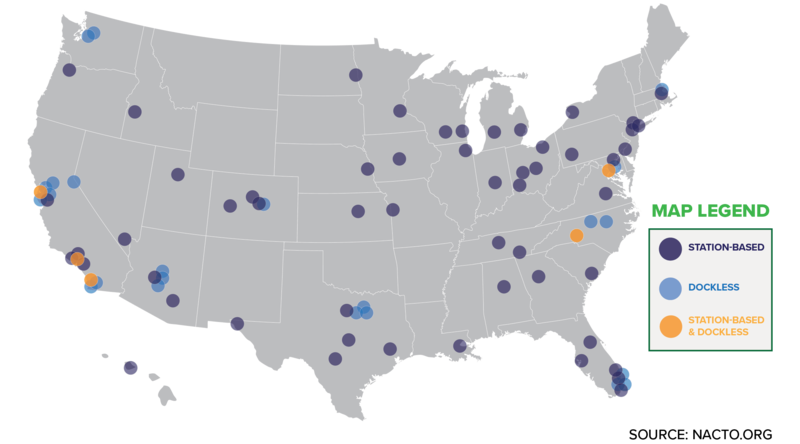 The programs launched by these bike sharing companies have resulted in many positive externalities. 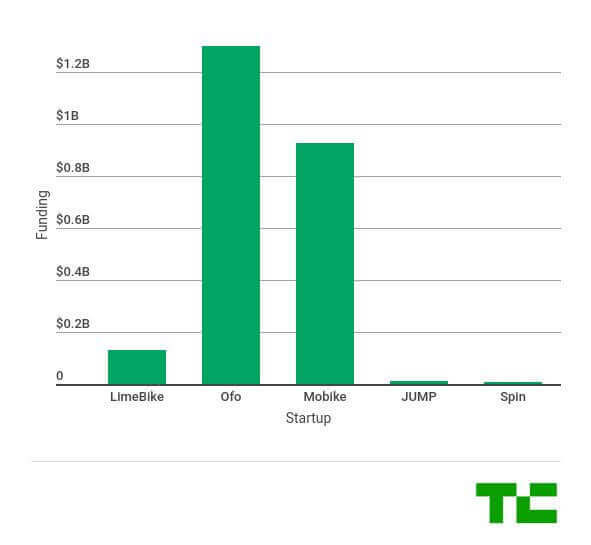 Ready to Launch Your Own Bike Sharing Startups like Ofo and Mobike? Bike share services have set off business growth globally with more than 1,000 companies getting involved in the industry. However, the large number of users are in the Chinese market and the growth potential of overseas markets are the biggest drivers of this boom. So, if you want to start your own bike share program and change the world with this eco-friendly option, it’s high time to launch the bike share program and develop a bike sharing app like Ofo, Mobike, LimeBike, and JumpBikes. 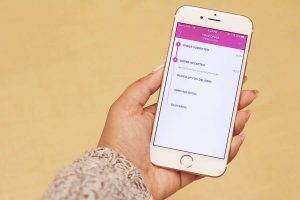 Being a leading iOS and Android app development company, we can help you to develop a successful bike sharing app like Ofo and Mobike with an exclusive range of features like maps to find nearby bikes, payment gateway integration, GPS tracking to track trip details, cross-platform ability, and multi-lingual support. With the experience of developing 3500 custom mobile apps for small to medium enterprises, we can take your bike sharing business to the next level. Still puzzled and have any query like the app development cost breakdown of e-scooter apps? No worries, you can get in touch with us through our contact us form. One of our sales representatives will get back to you as soon as possible. The consultation is free of cost. This page was last edited on January 24th, 2019, at 9:01.